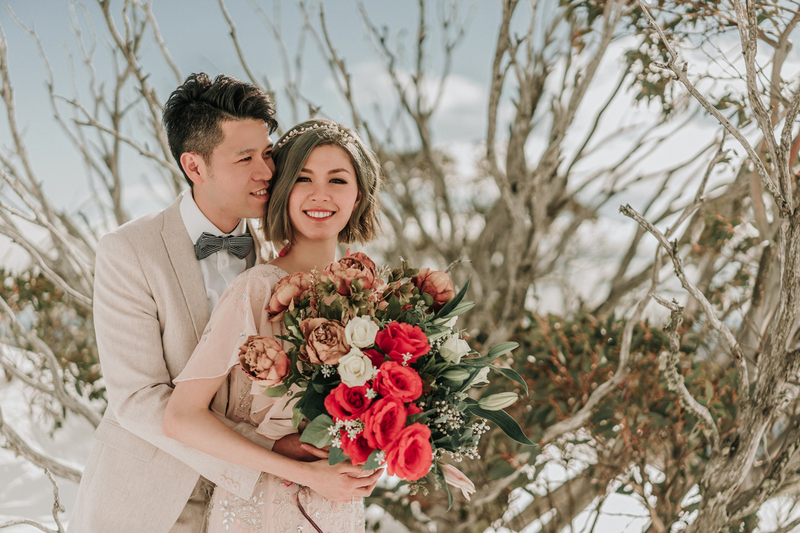 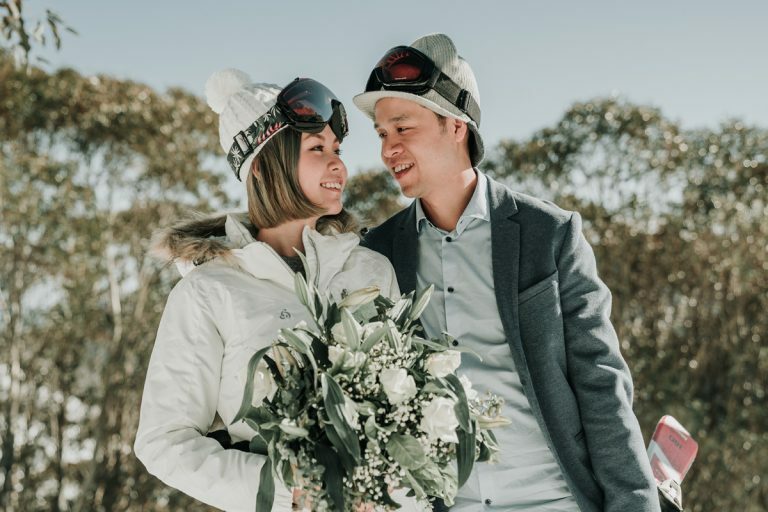 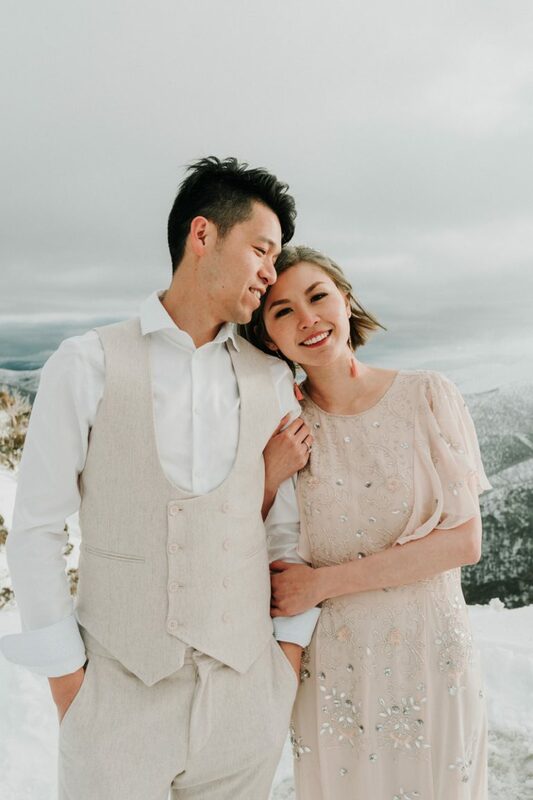 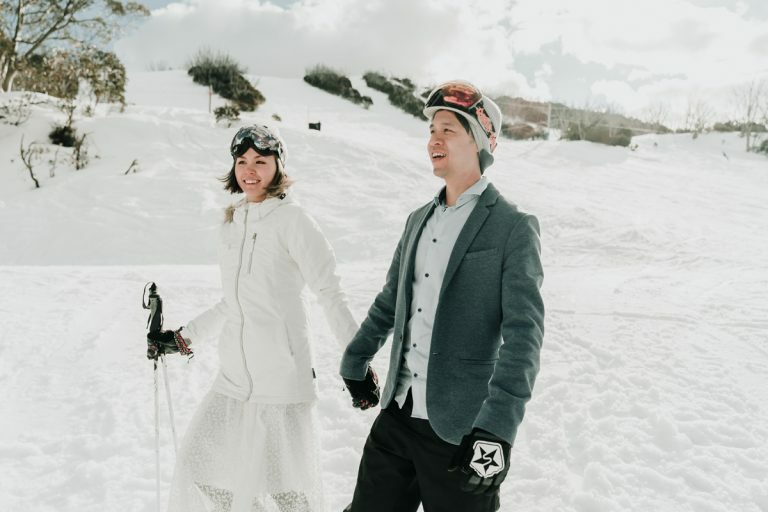 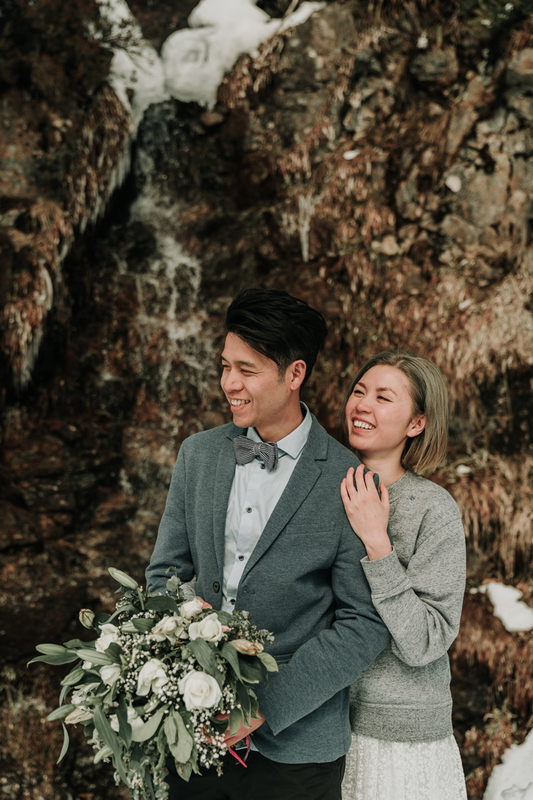 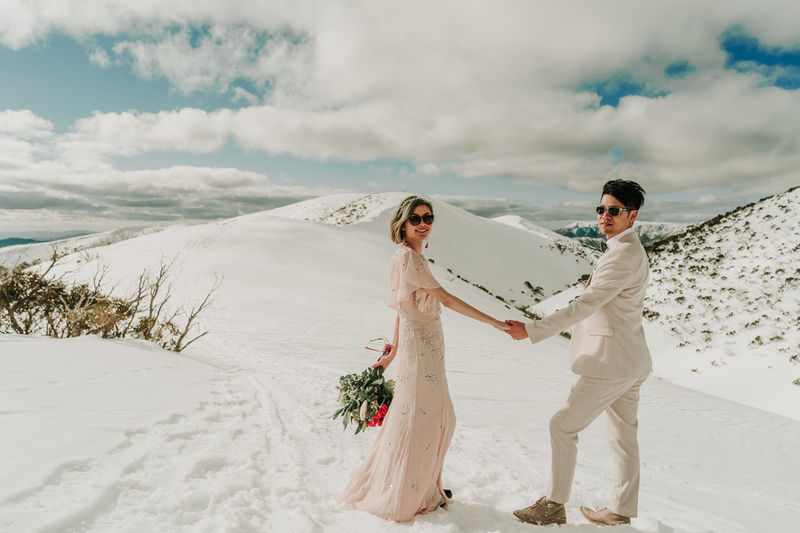 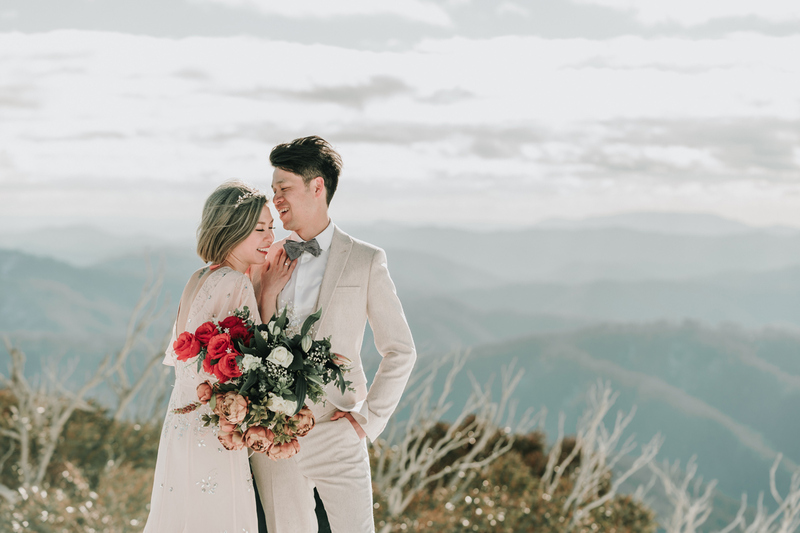 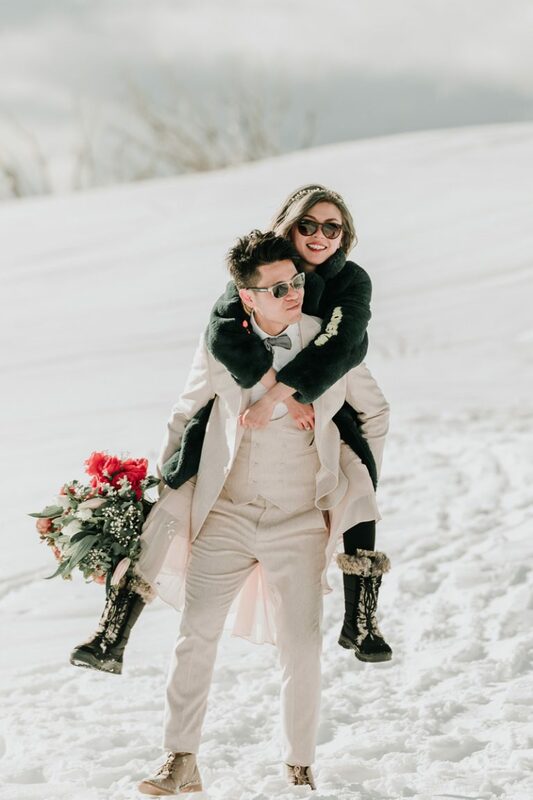 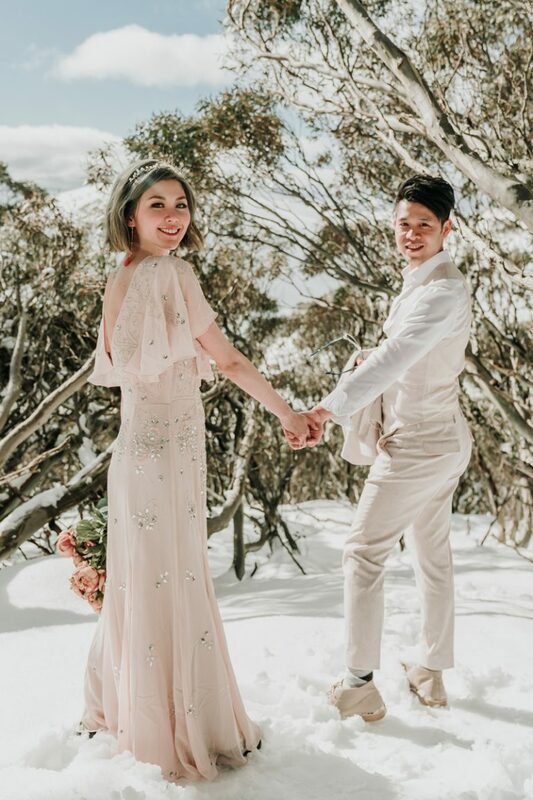 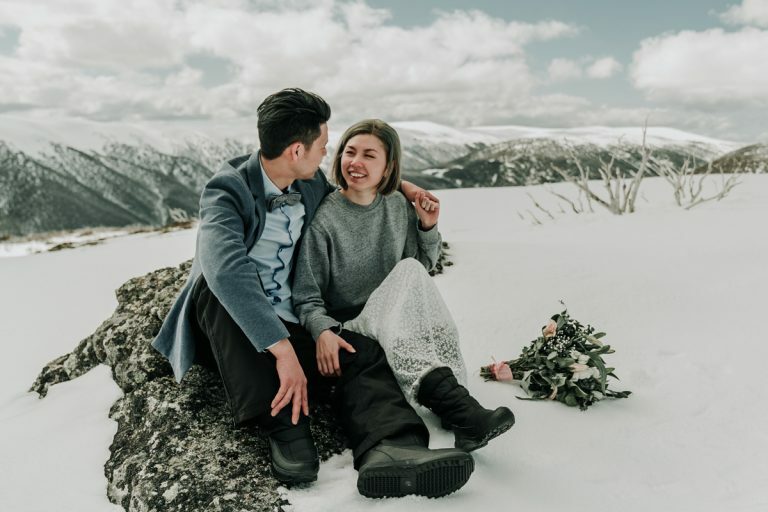 This magical snow-filled destination snow engagement photos shoot for Yolanda and Johnny was a great way to kick off the 2018 wedding season. 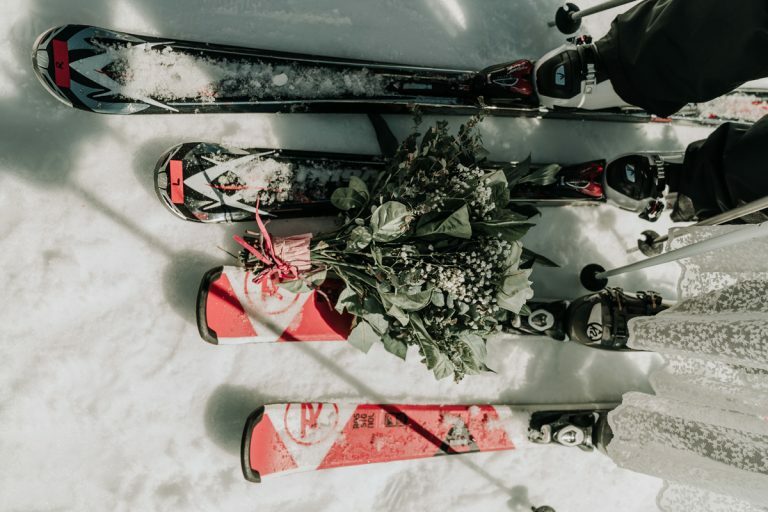 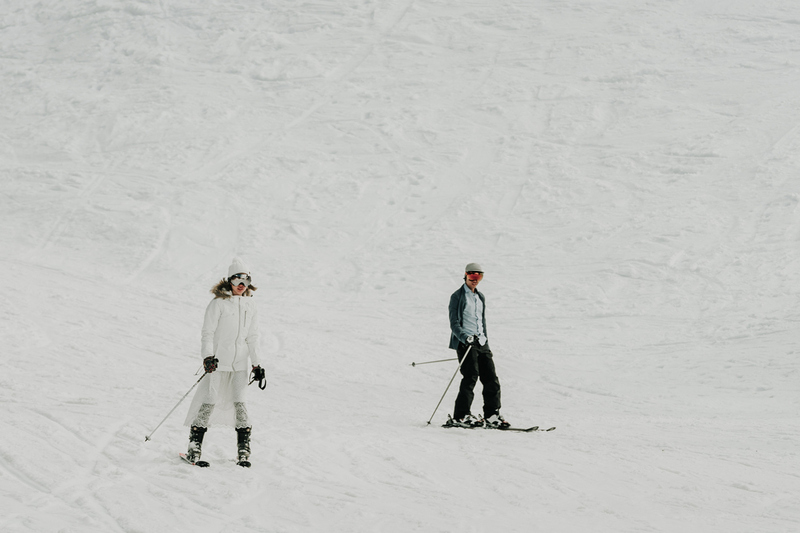 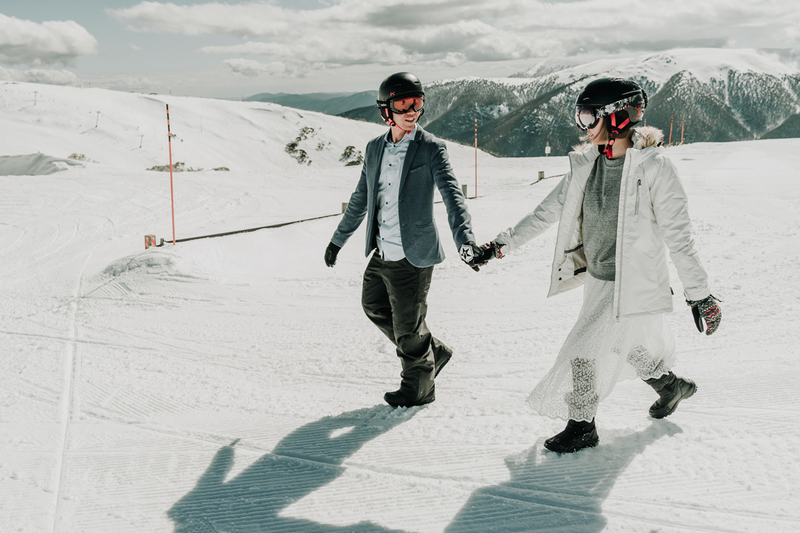 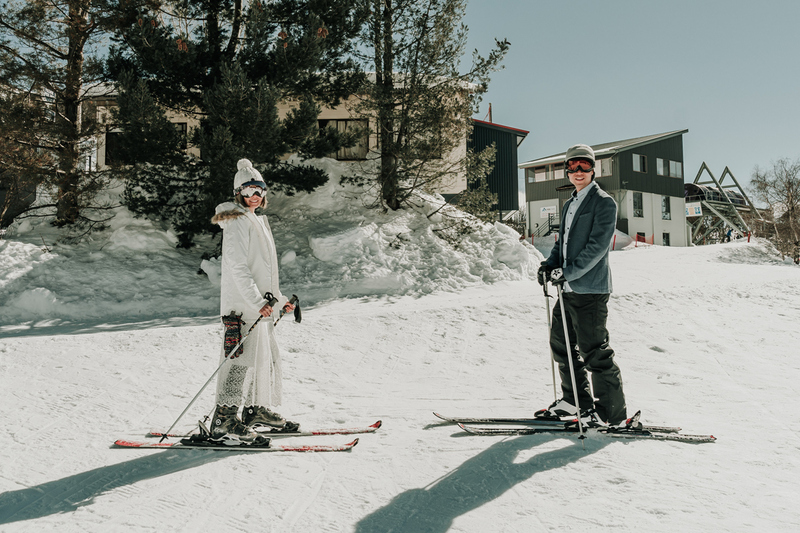 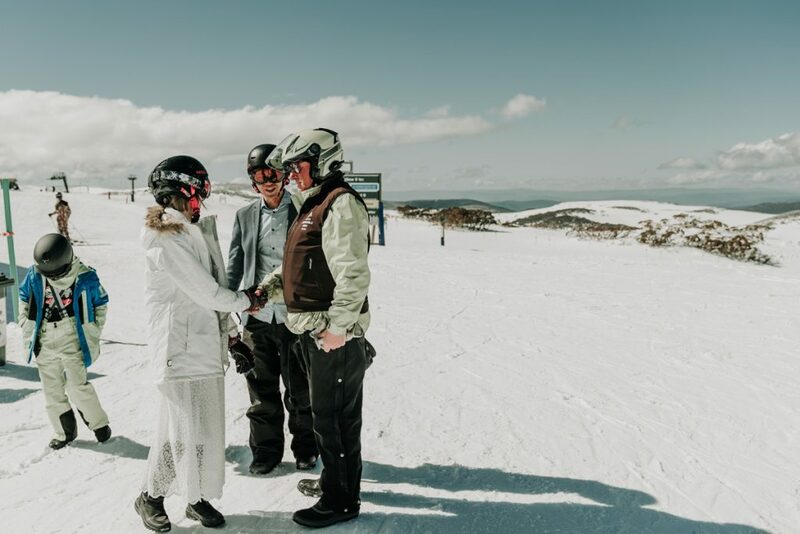 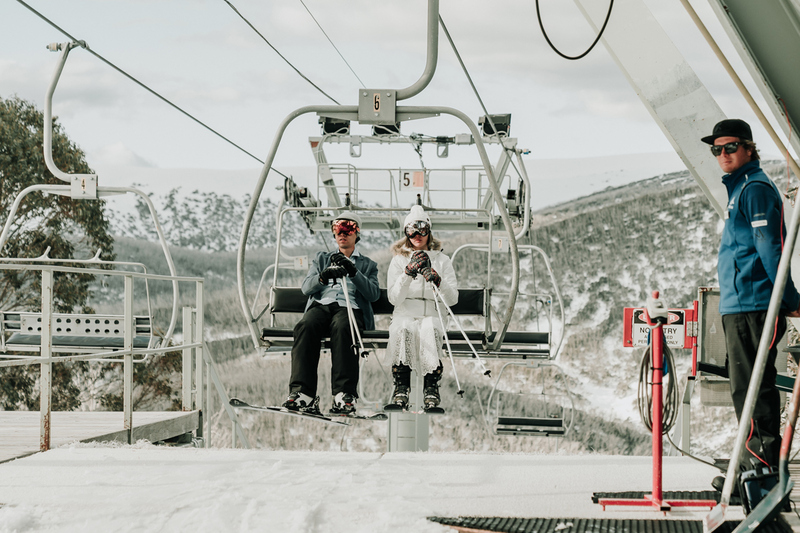 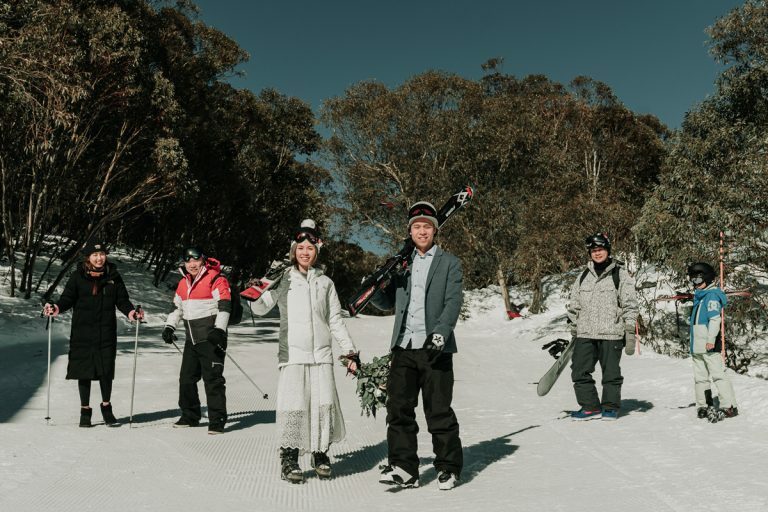 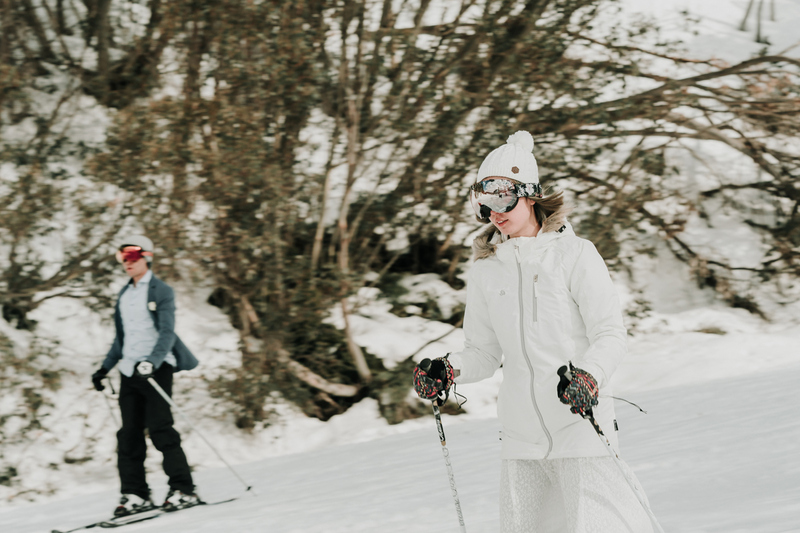 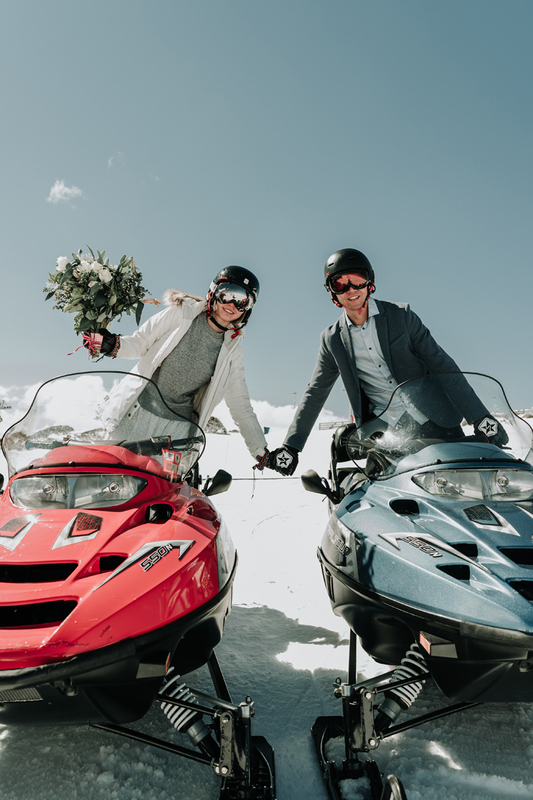 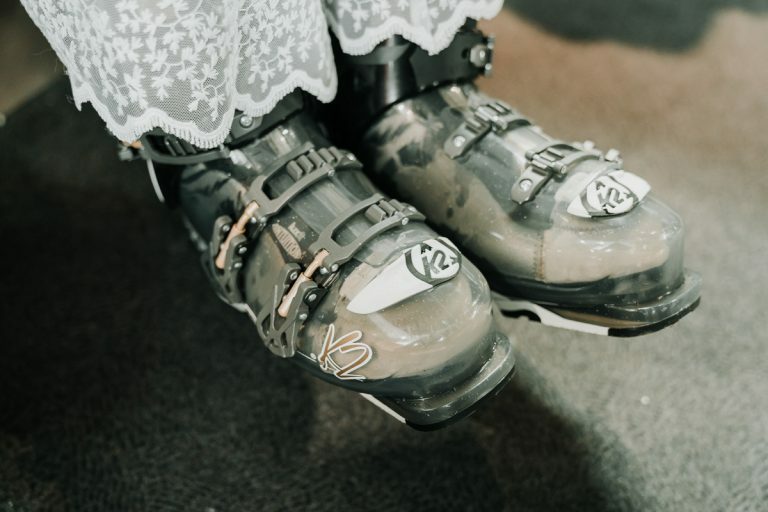 Adventurous couple Yolanda and Johnny love to ski and spend much of their time travelling the world and following the ski seasons. 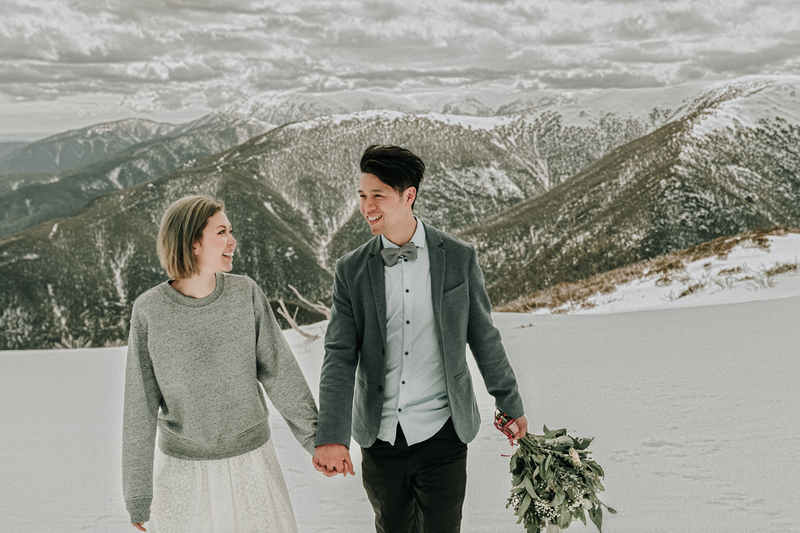 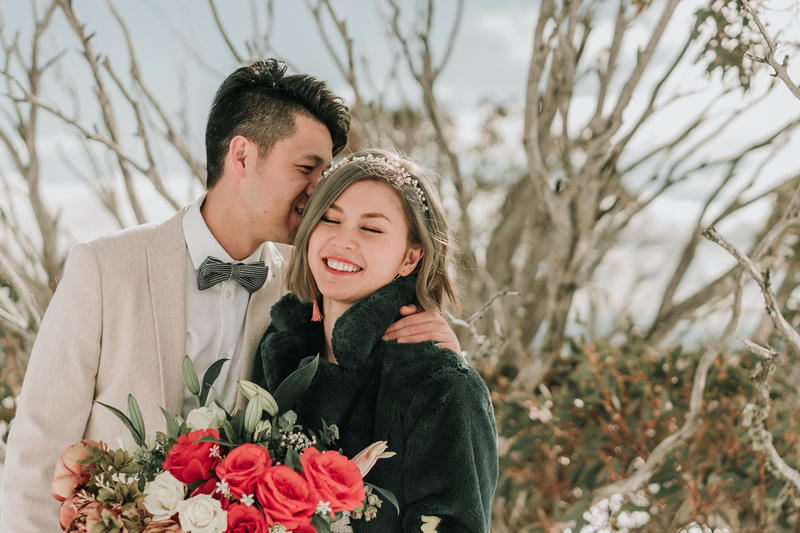 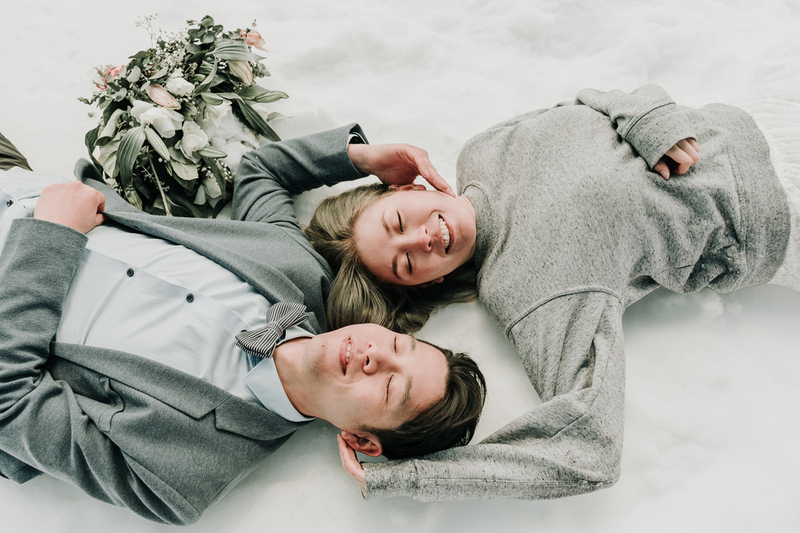 There was no hiding their passion for a snow-filled countryside and no surprise that they requested a snow engagement photos shoot. 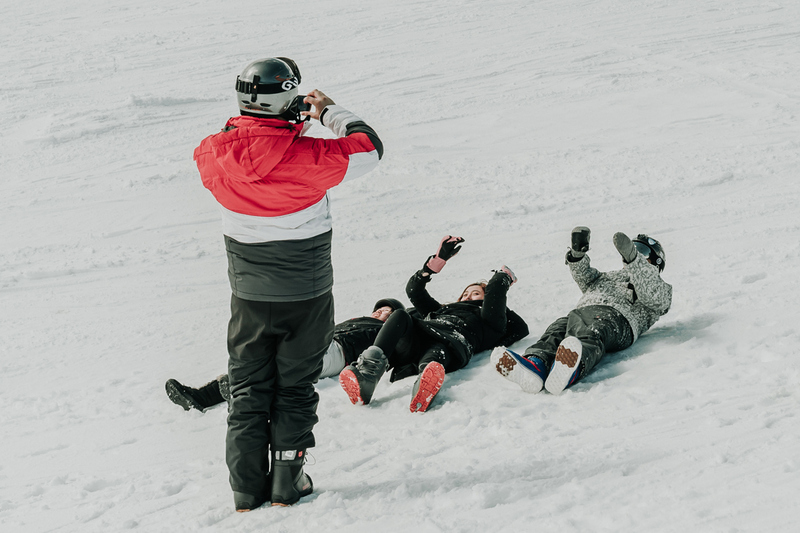 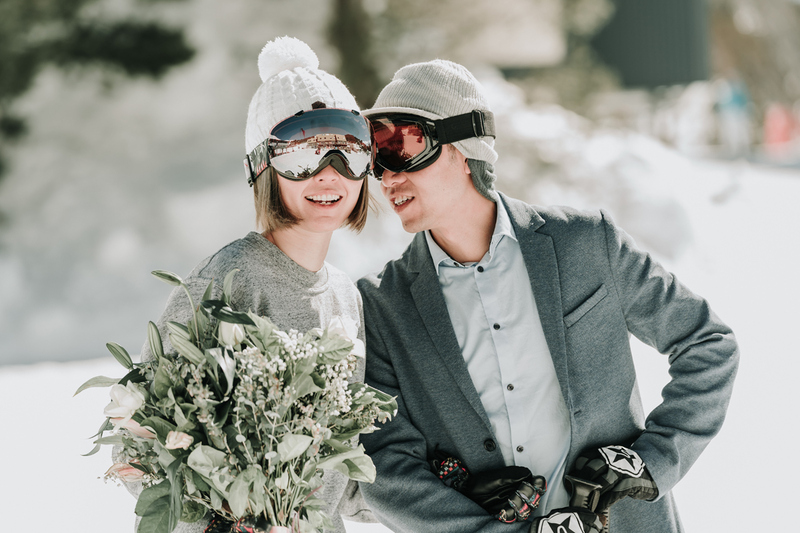 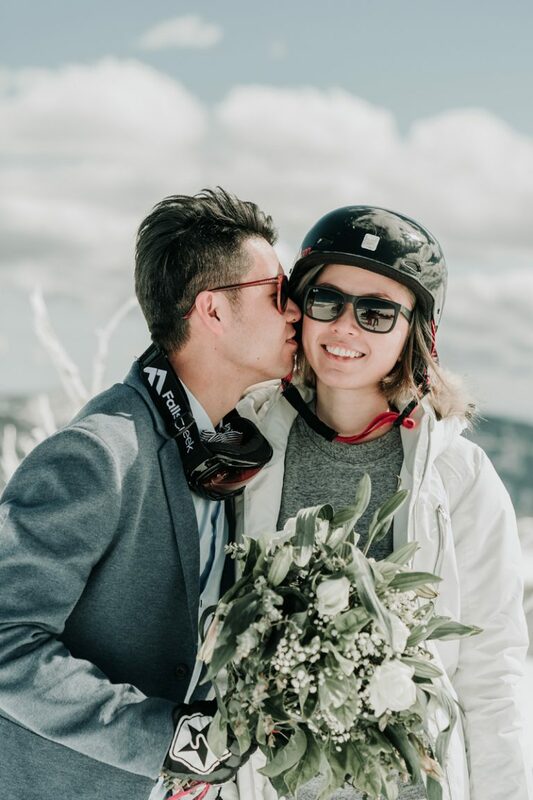 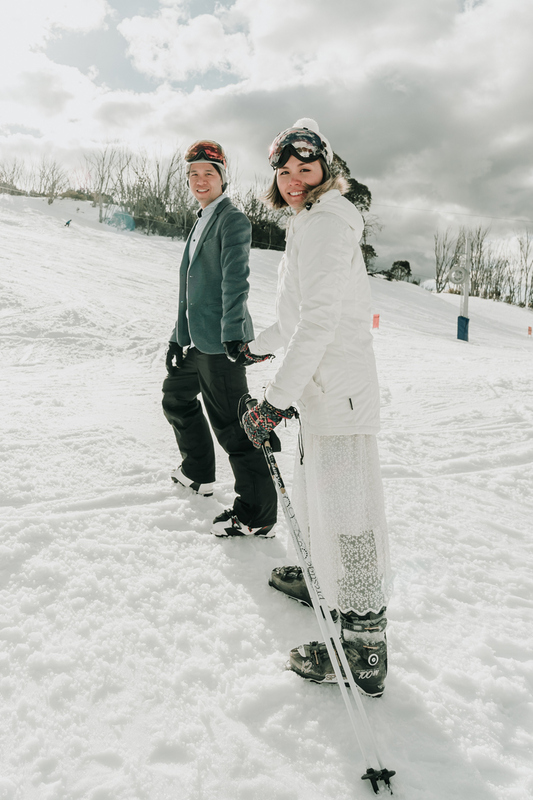 Having a snow-destination engagement photo shoot also meant they could create a photo album reflecting their love story. 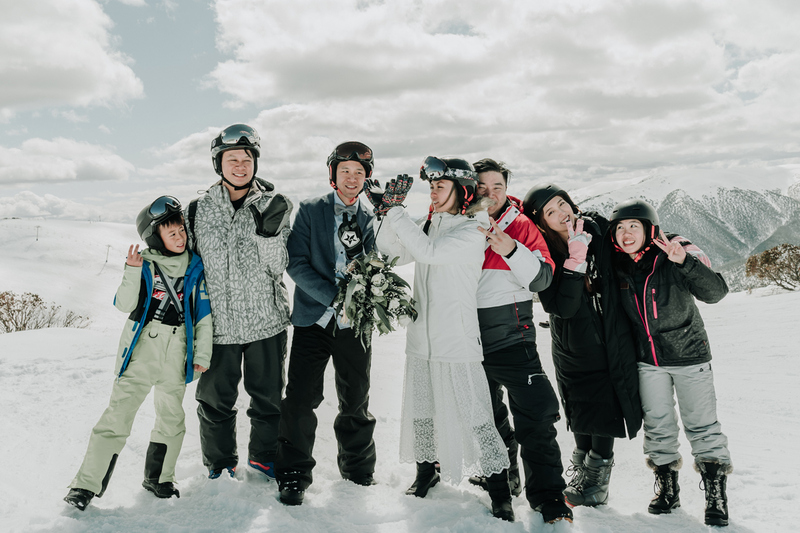 Black Avenue Productions was thrilled to be invited to their four-day photo shoot trip with their family and friends. 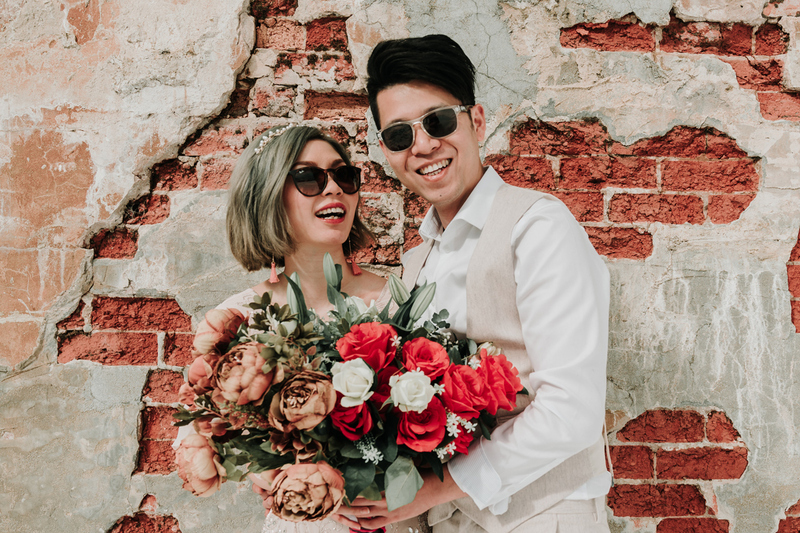 Johnny (business owner) and Yolanda (graphic designer) have been together for almost a decade, they got engaged and started to plan their wedding, while Yolanda fell pregnant with baby Dexter. 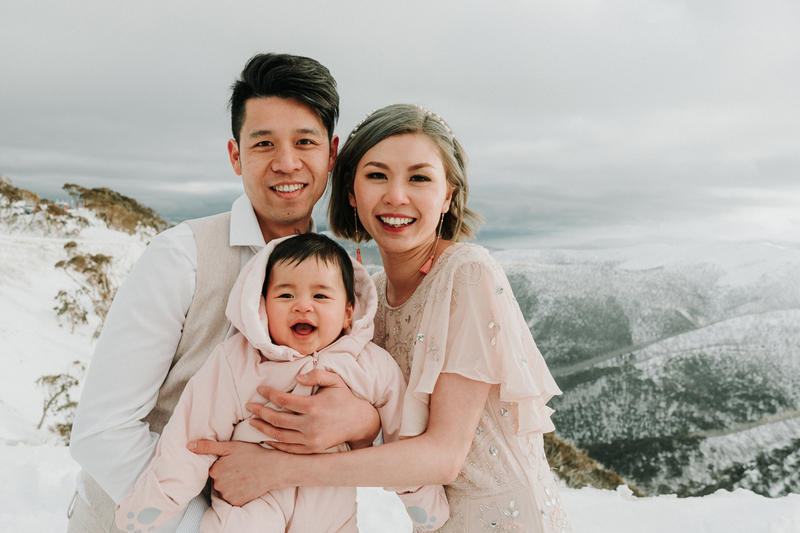 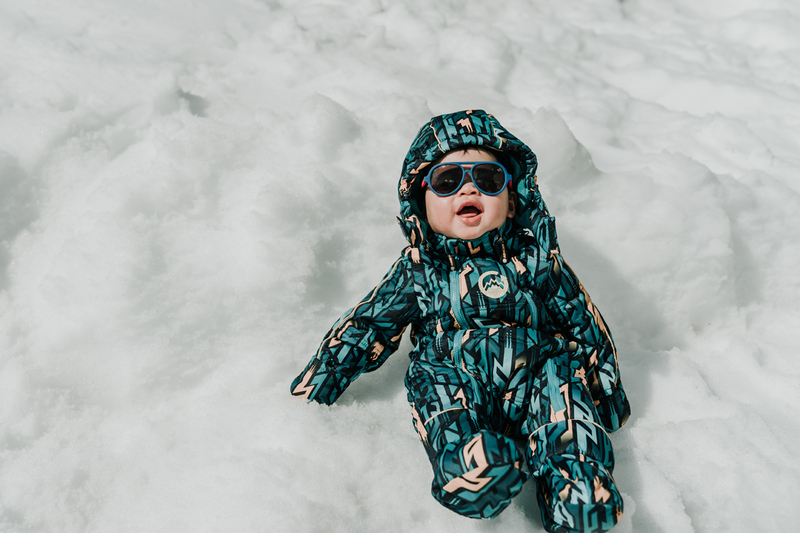 These two love birds decided to have a snow engagement photos shoot and bring baby Dexter to his 1st snow trip. 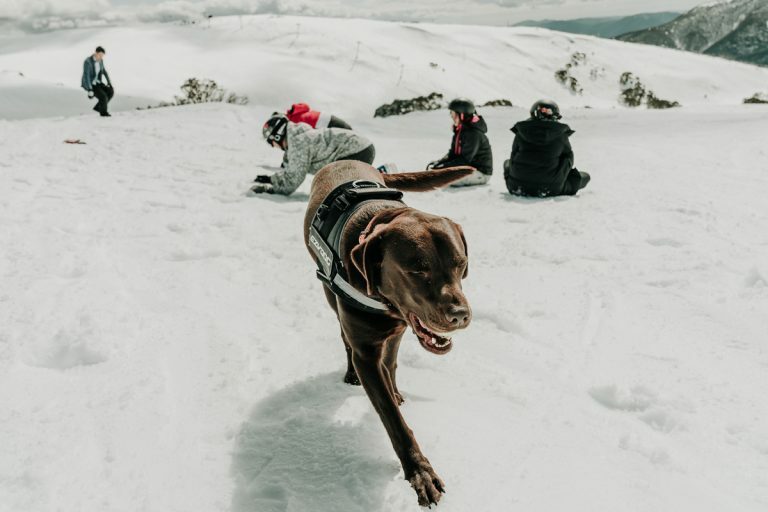 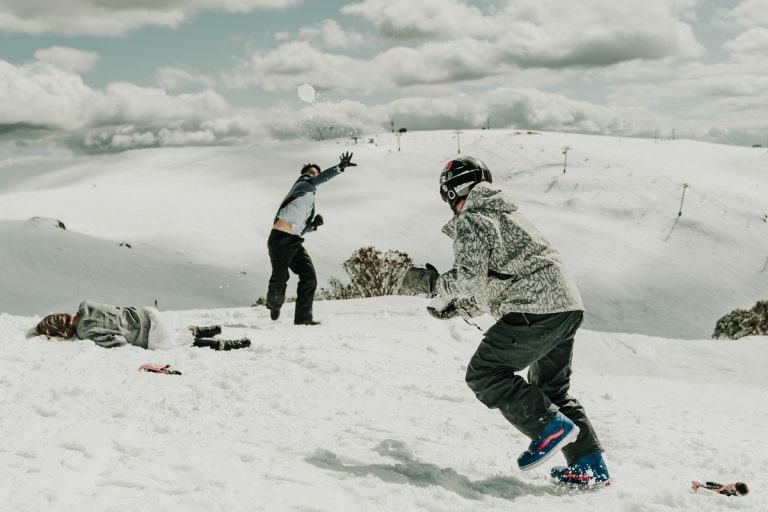 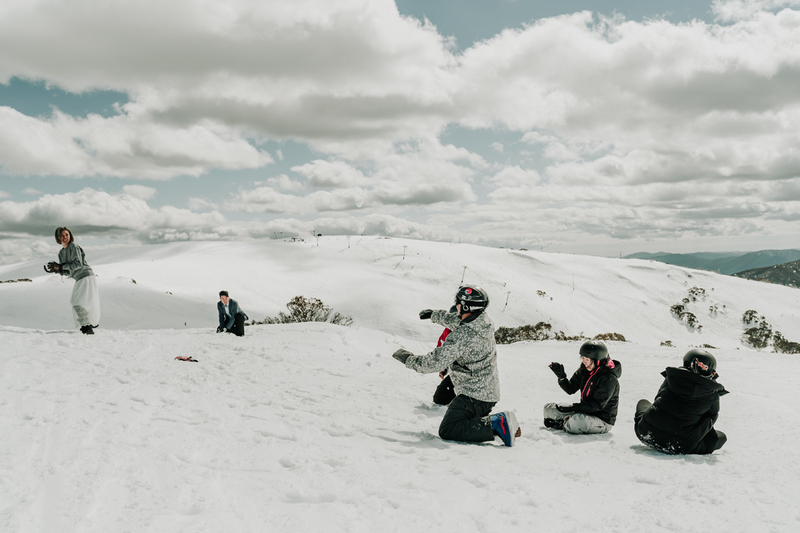 Falls Creek is a resort town in northeastern Victoria, Australia. 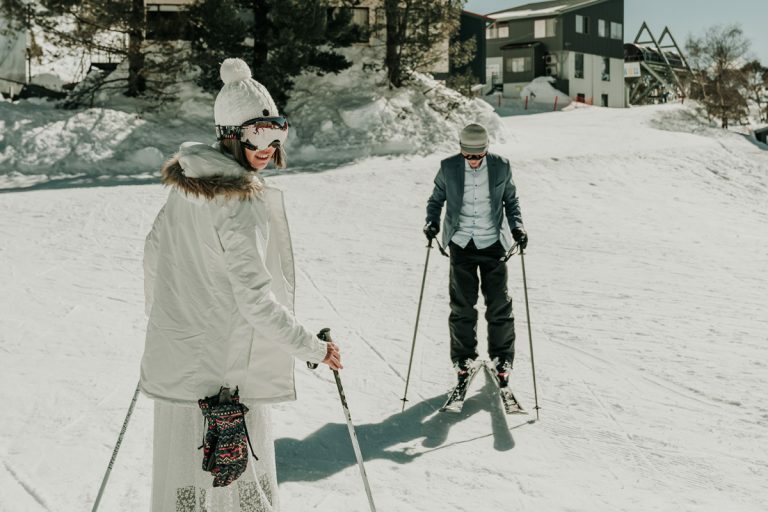 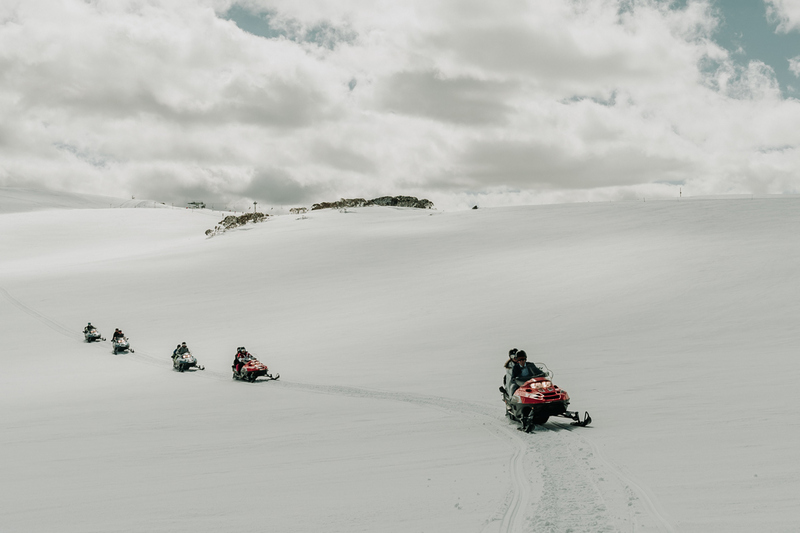 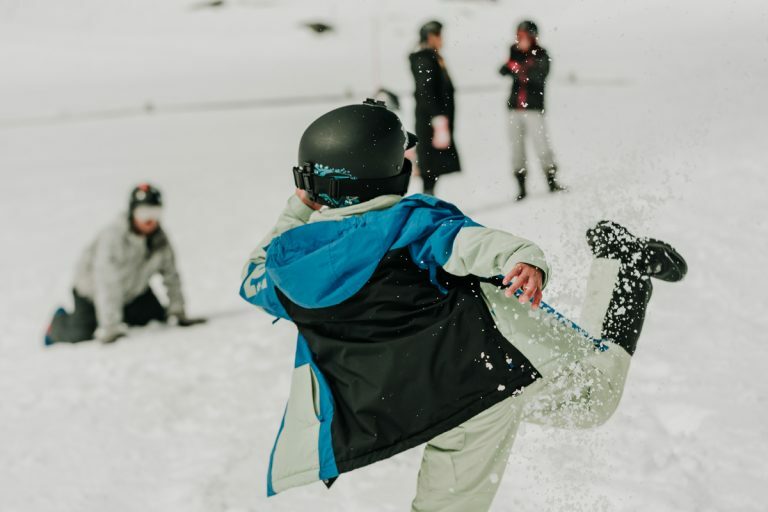 It’s known as an alpine and cross-country ski center, and its history is chronicled at the Falls Creek Museum. Lifts access slopes including the Summit and Wombat’s Ramble. The Falls to Hotham Alpine Crossing trail leads through forests and high plains in Alpine National Park. 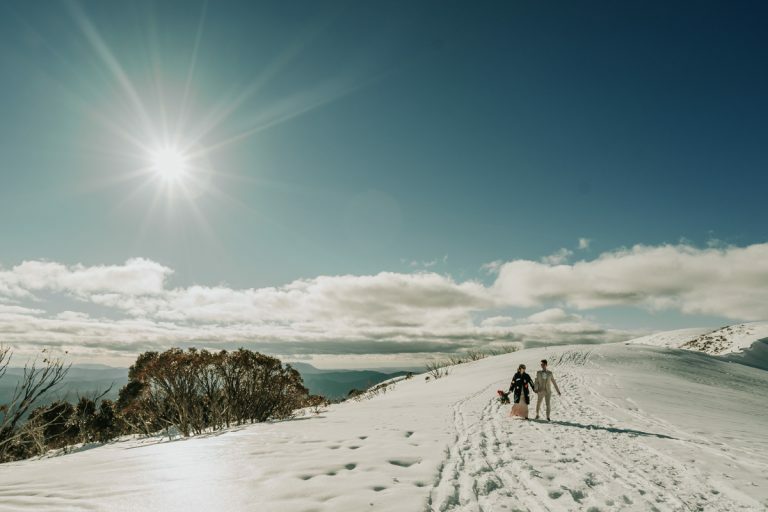 The Great Alpine Road offers sweeping views of the Victorian Alps. 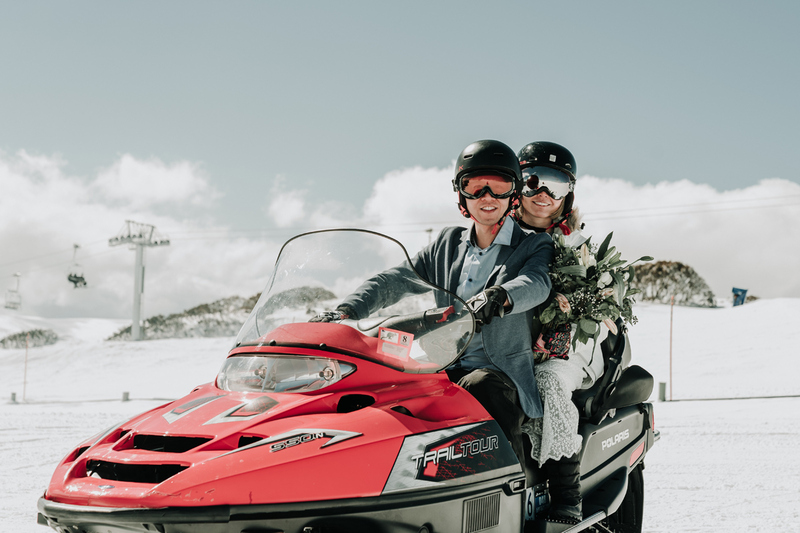 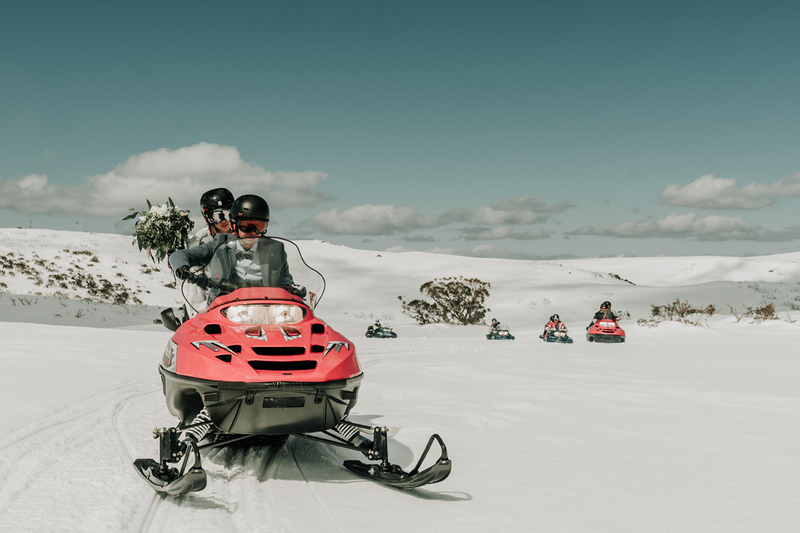 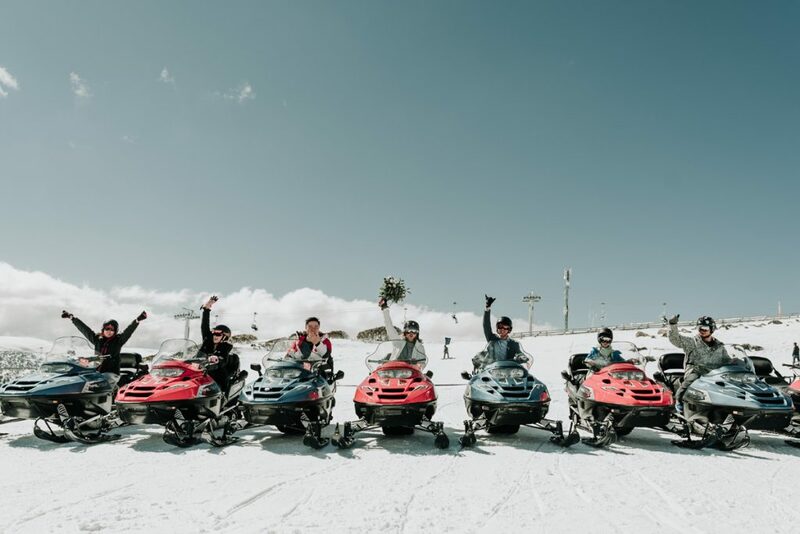 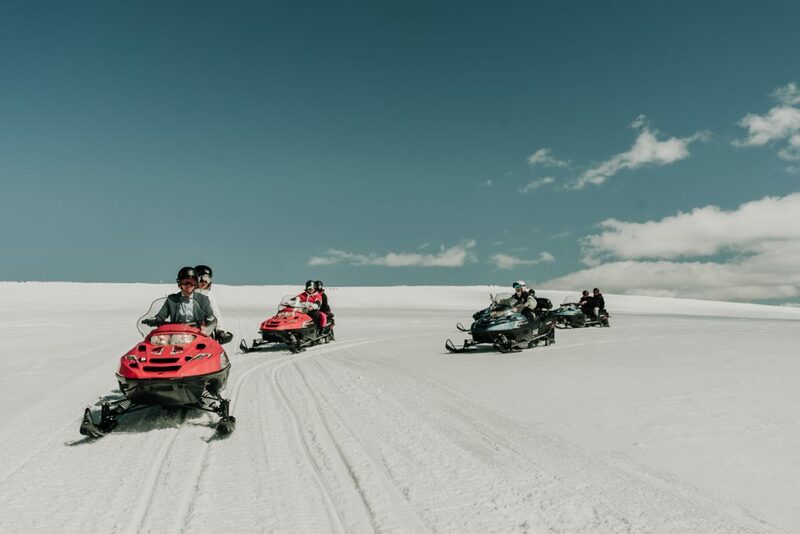 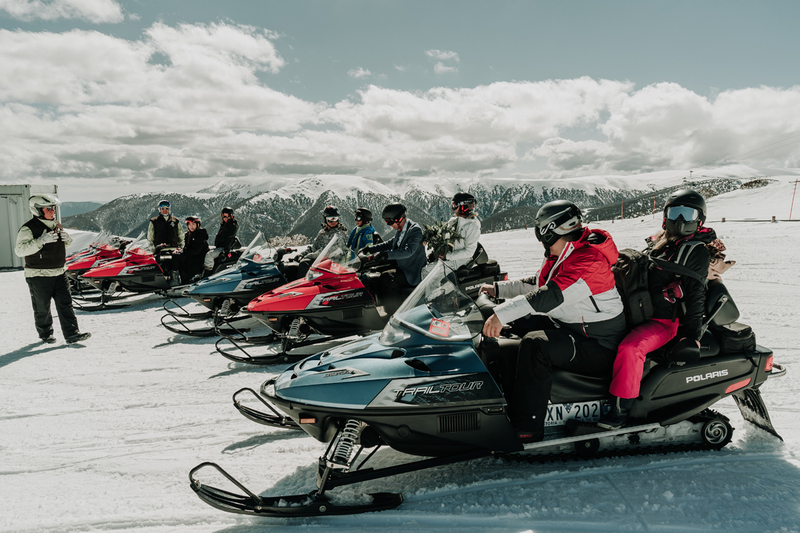 One awesome highlight was Johnny booking a private Snow Mobil tour for everyone as part of engagement celebrations. 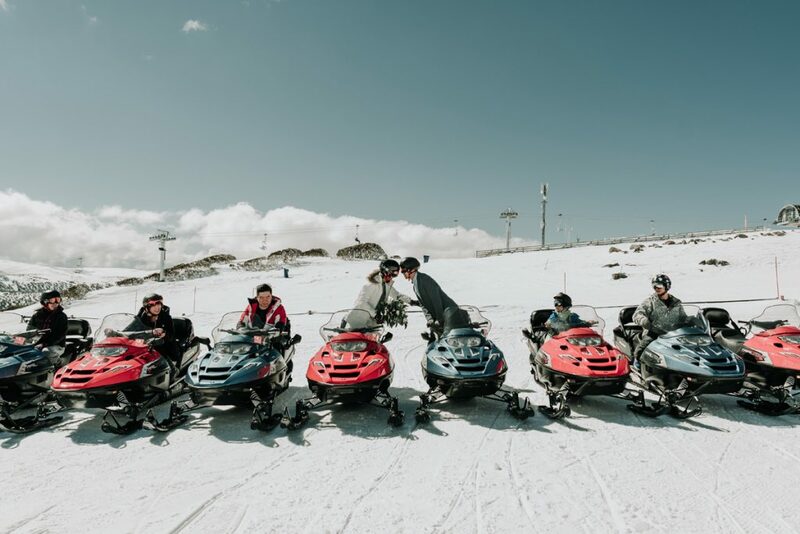 Great times made forget photos and our team was all to happy to ride along! 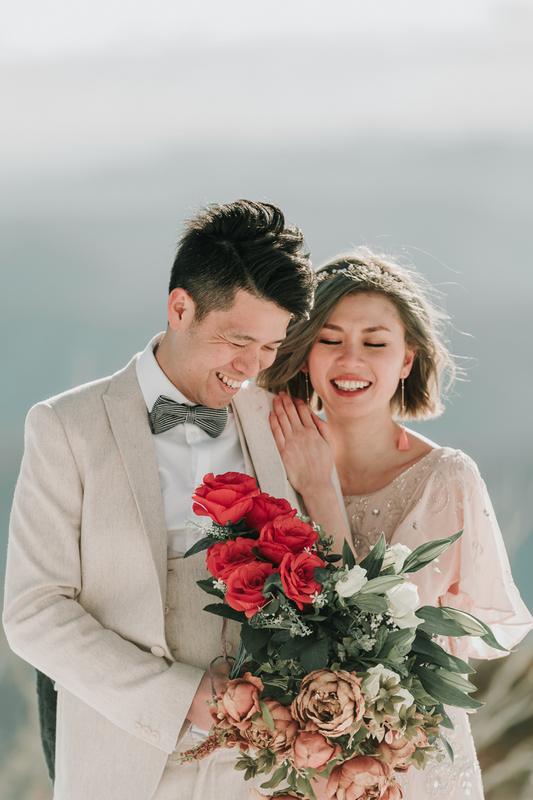 Working with Yolanda and Johnny was so much fun. 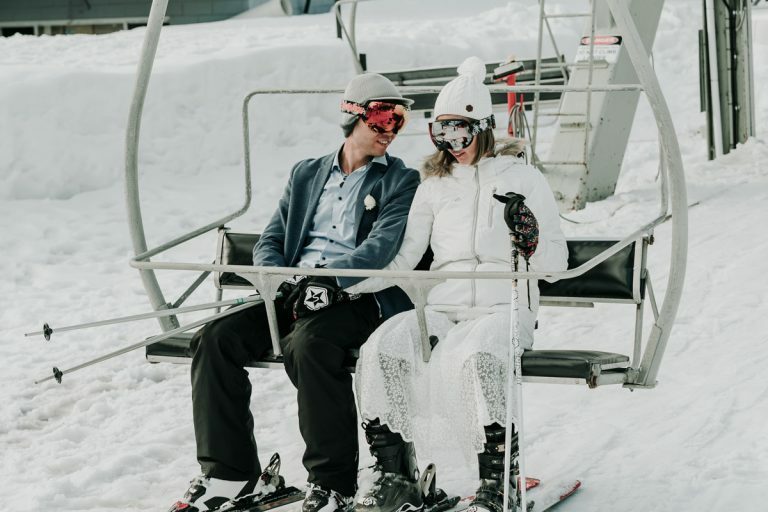 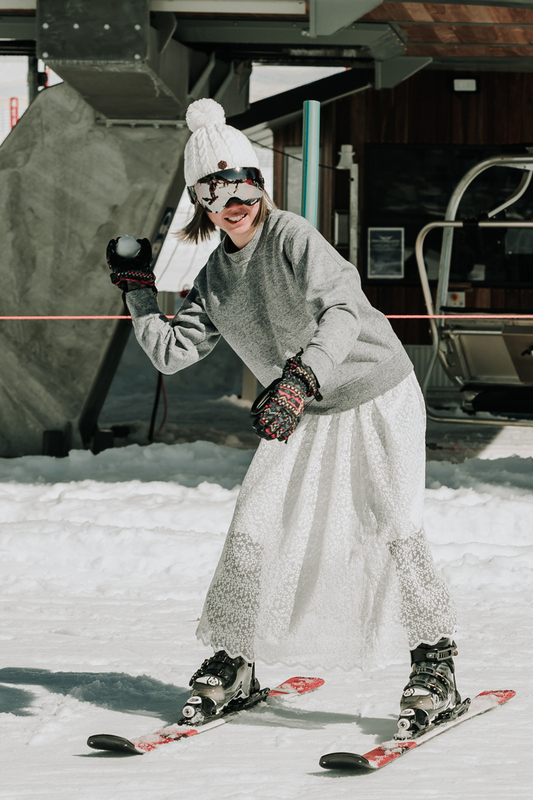 This beautiful young mom has her unique positive vibe, she was laughing the whole time, even when she got hit by a big snow ball to her face, she kept on laughing. 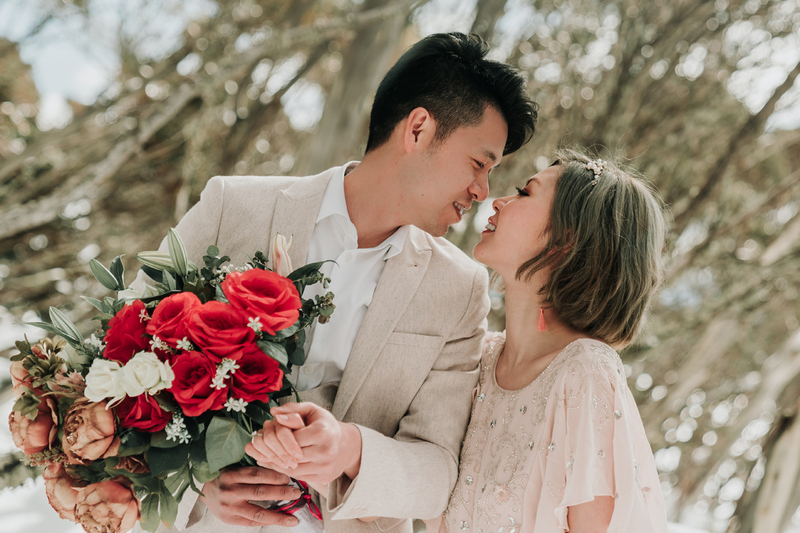 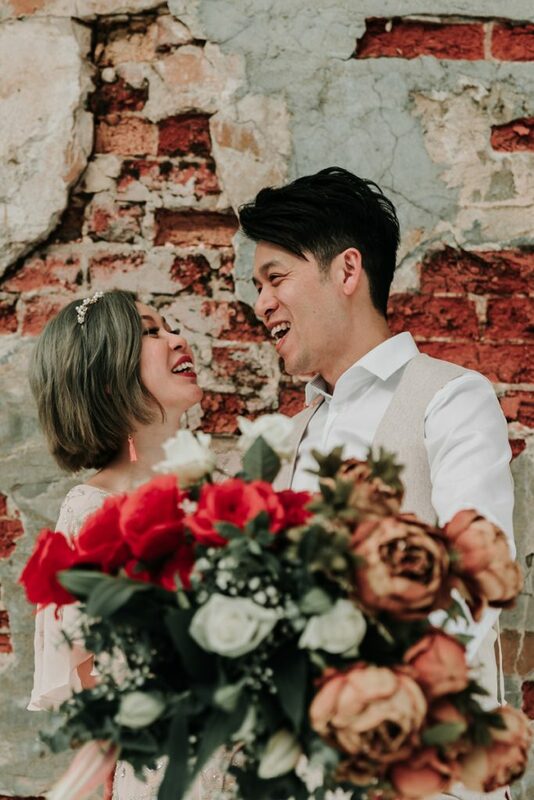 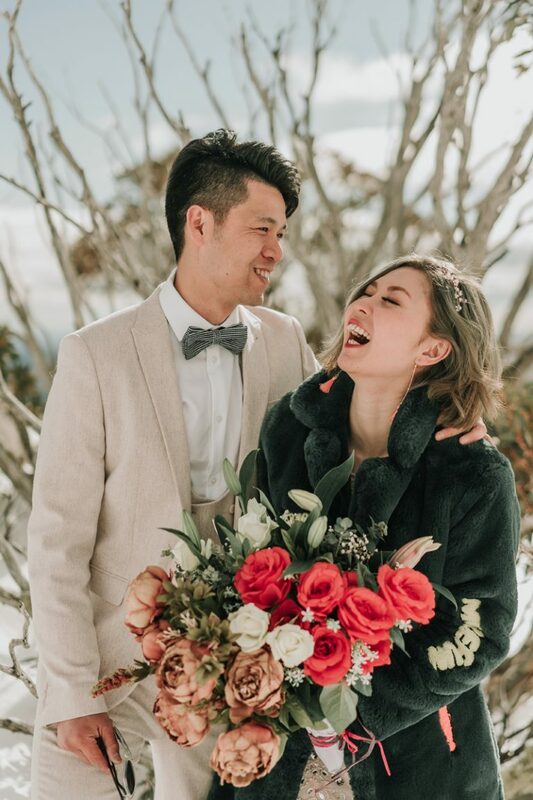 We can’t wait to capture their wedding day next year! 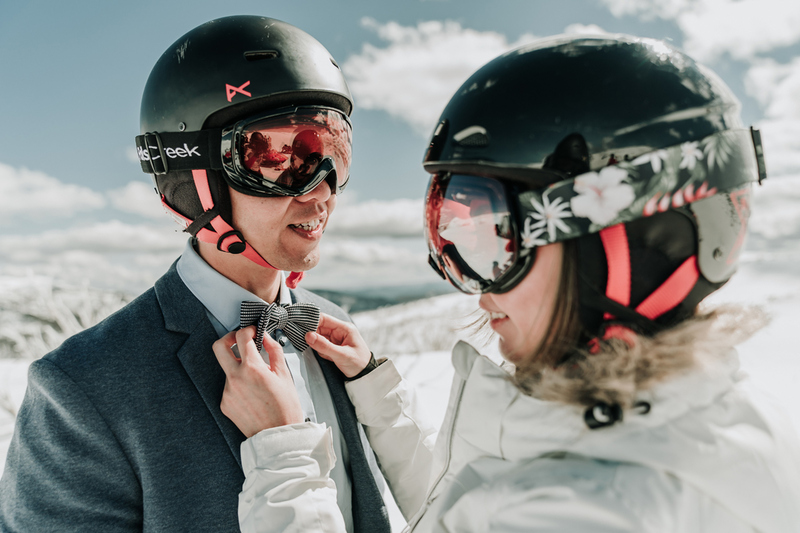 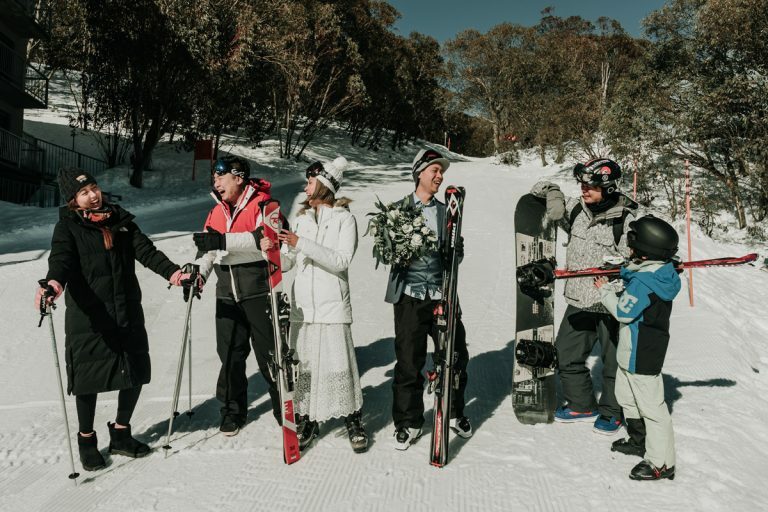 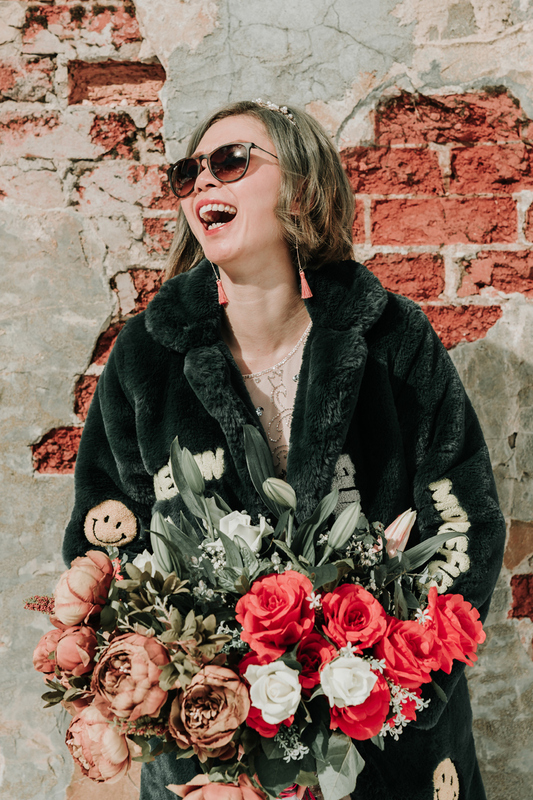 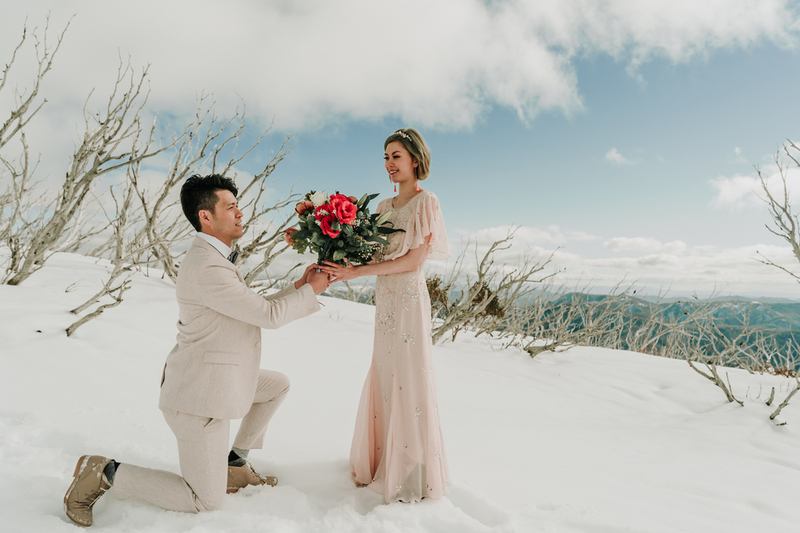 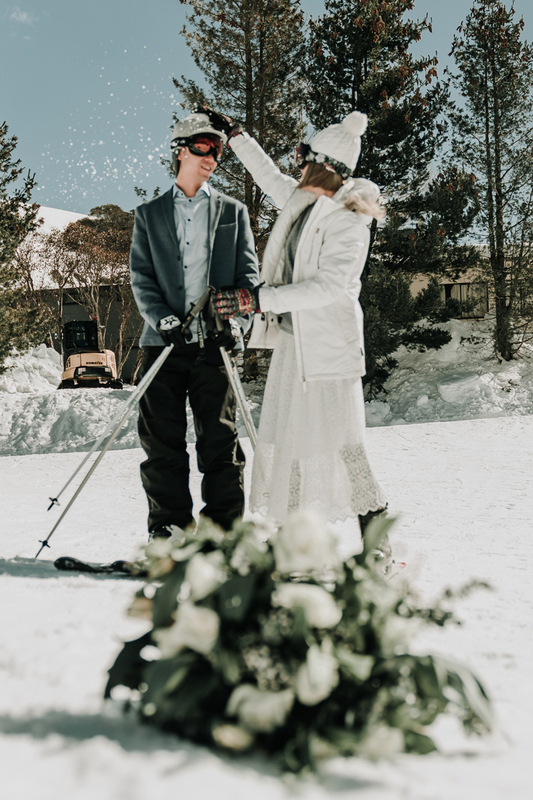 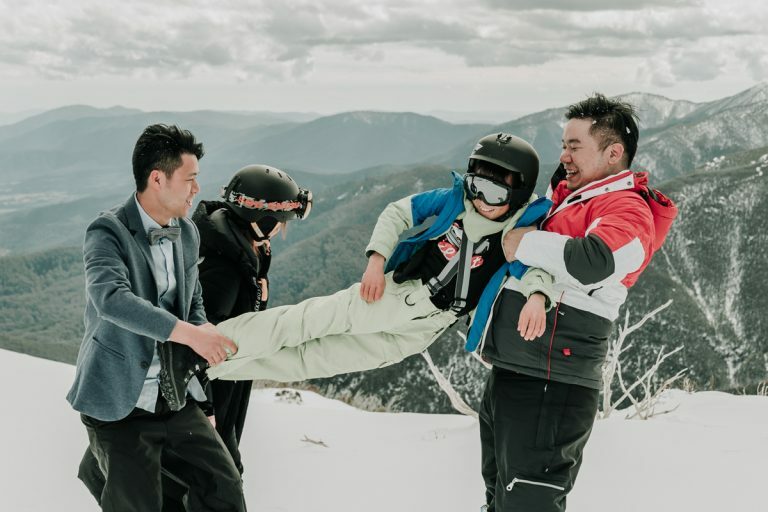 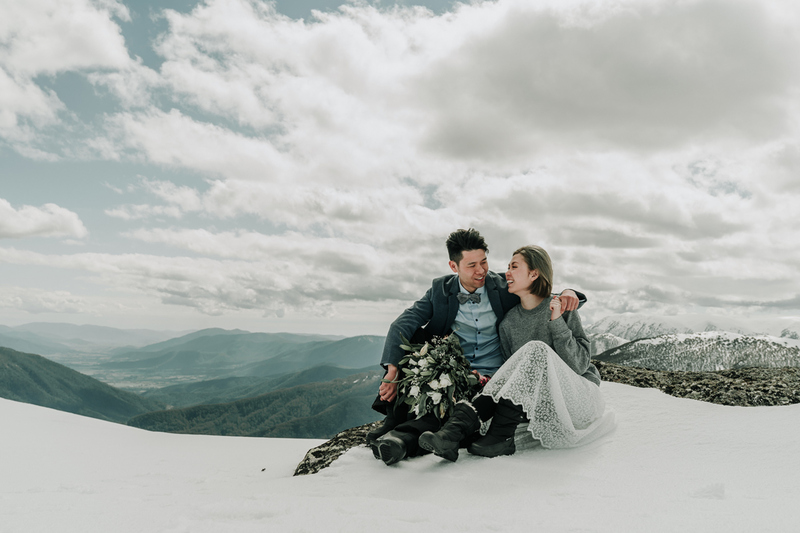 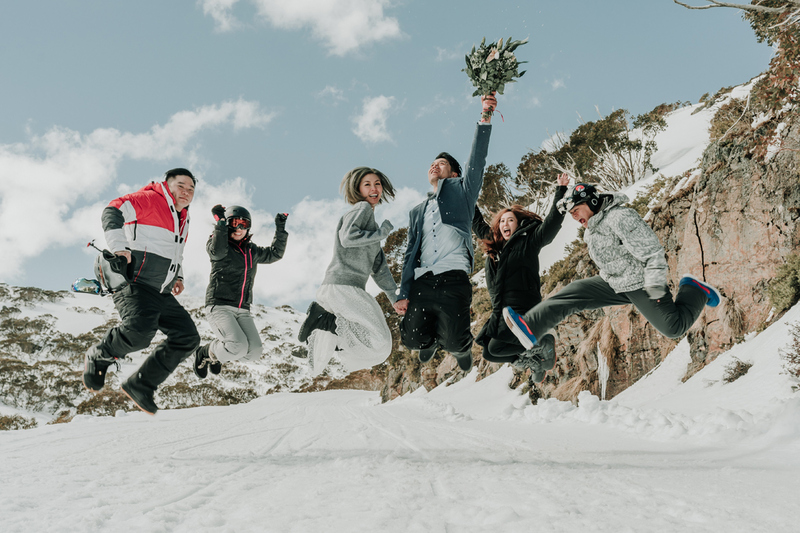 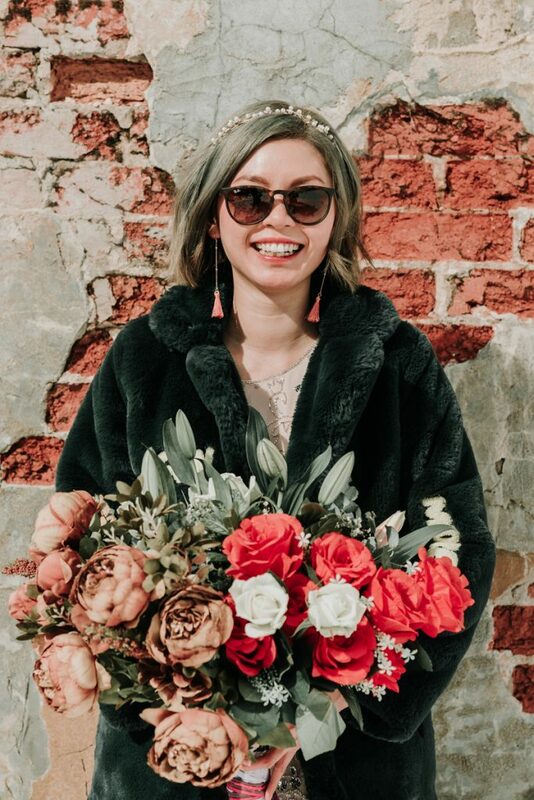 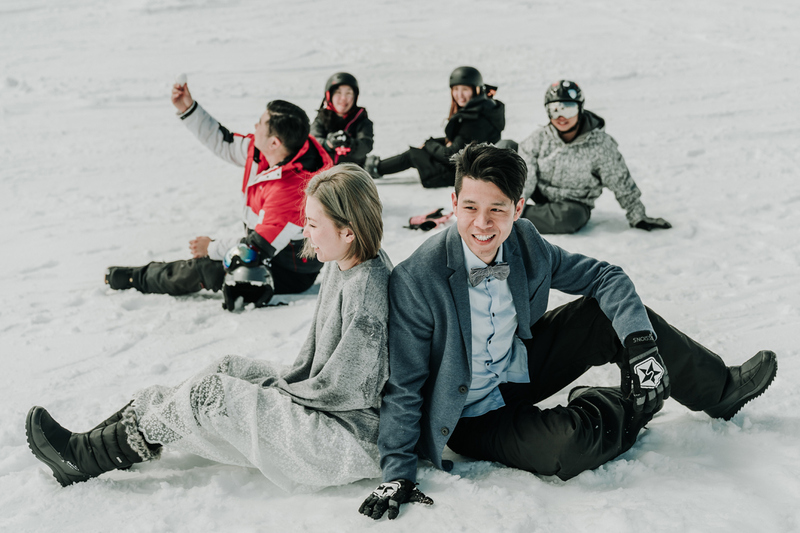 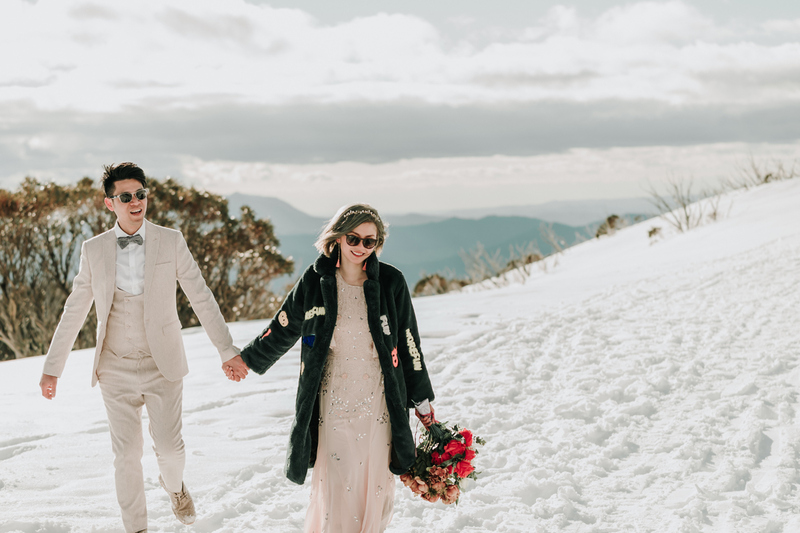 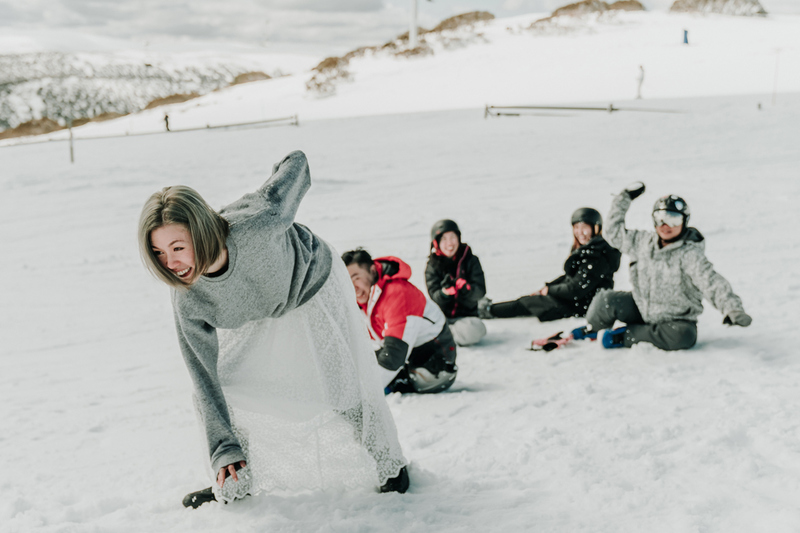 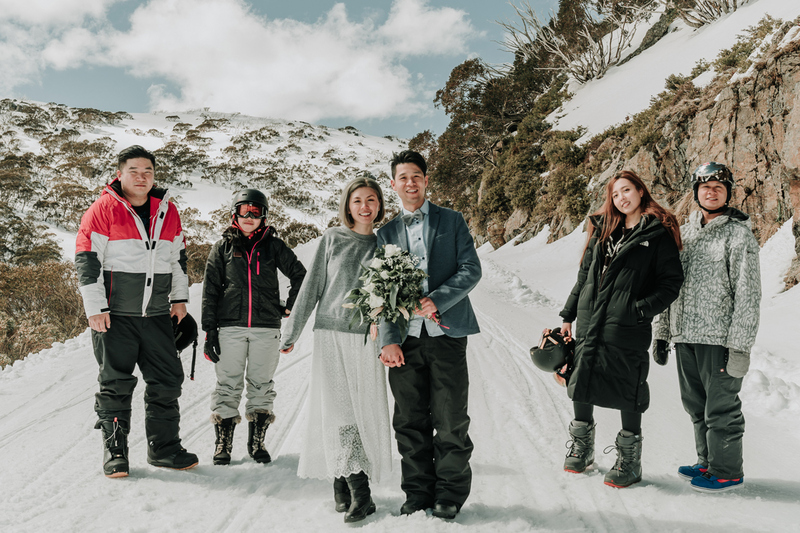 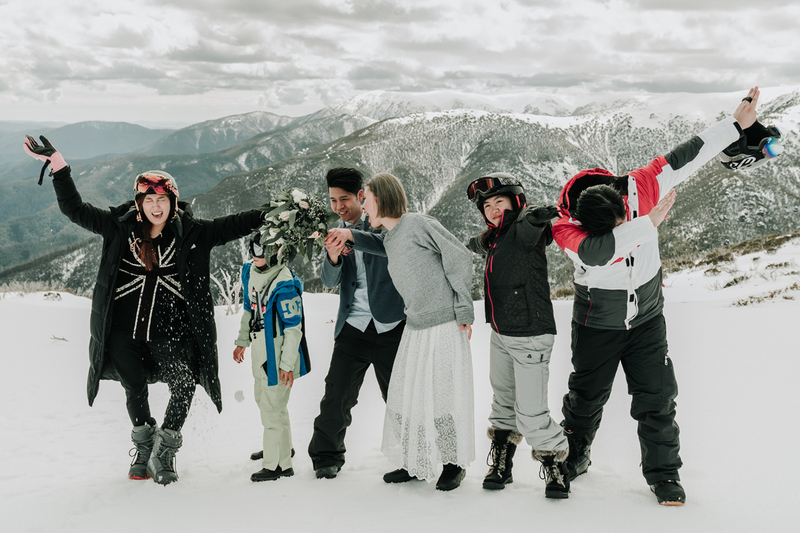 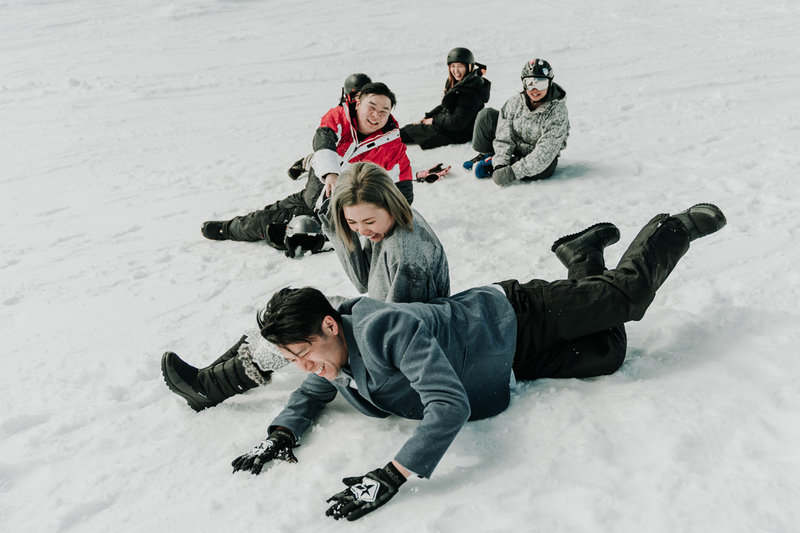 Want to book your unique snow engagement photos shoot with us?